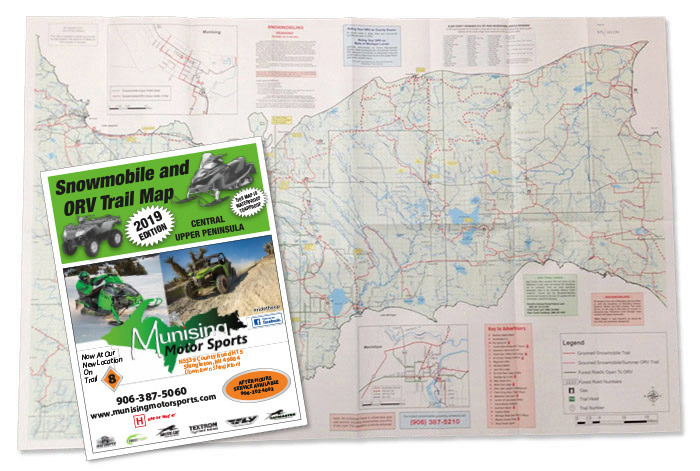 Snowmobile & ORV Trail Map » ORDER TODAY! Here’s perfect snowmobile and ORV trail map if you’re planning to travel around the many beautiful trails of central Upper Peninsula. Waterproof and tear resistant, this highlights a number of features for those traveling through the deep snow on a snowmobile or the dirt/mud on an ORV. Purchase our Extreme Bundle and save! 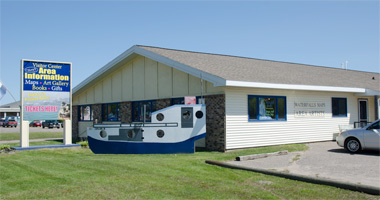 Get our 36-page Adventure Guide, the waterproof kayaking / hiking map and the snowmobile/ORV trail map for a great price. Note: Extreme Bundle will be sent out U.S. mail next business day.